We left for a tour super early in the morning and they brought us a picnic breakfast the night before. 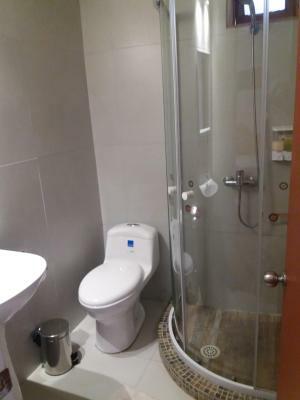 It's nice that the hostel has all private rooms for a fair price. Plus it has a fair equipped kitchen to cook. Really comfy bed, the shower was nice and hot and we had a great night's sleep. It was a good place to relax after an 8 hour drive. The 5 bed room was spacy enough for all of us. Breakfast was good for a Hostel. It was in good walking distance to the center. Daily cleaning. Accommodation was very clean. There was several spaces to relax outside the room, however still inside the private apartment area. Away from the main centre so nice and quiet, liked the courtyard area with the hammocks. They did let us hang around on our last day as our coach wasn't until early evening. New hostel. Very pleasant and clean. Good shaded area for sitting in and chilling . Good kitchen facilities. About 10 minutes walk into the center of San Pedro de Atacama. I would go back there. "We left for a tour super early in the morning and they brought us a picnic breakfast the night before." 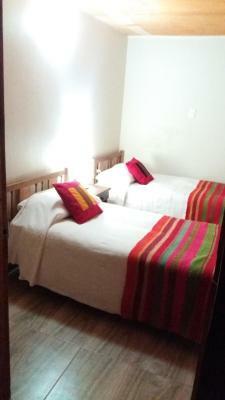 "It's nice that the hostel has all private rooms for a fair price. Plus it has a fair equipped kitchen to cook." 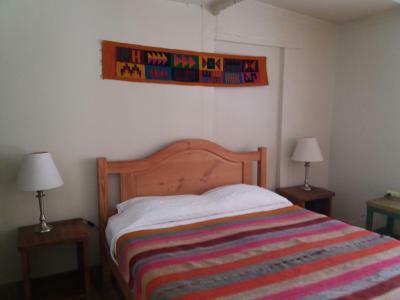 "Really comfy bed, the shower was nice and hot and we had a great night's sleep. It was a good place to relax after an 8 hour drive." 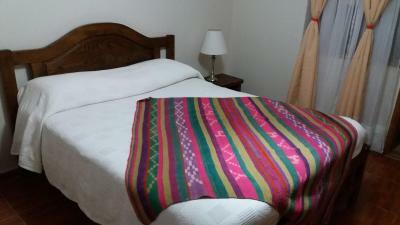 "Everything is okay, hot shower, good beds and a nice stuff"
"Clean room, hot shower, great staff, a very kind lady. They helped us store luggage and it is possible to use the common room (with kitchen / fridge and good WiFi. " 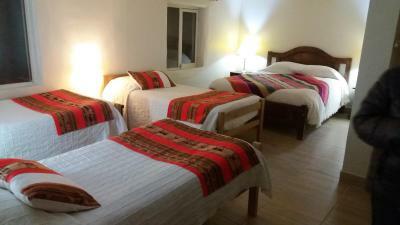 "The 5 bed room was spacy enough for all of us. Breakfast was good for a Hostel. It was in good walking distance to the center. Daily cleaning." 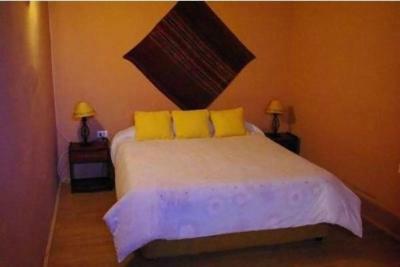 "Accommodation was very clean. There was several spaces to relax outside the room, however still inside the private apartment area." "Proximidade com o terminal de ônibus. Near to the Bus station"
"Away from the main centre so nice and quiet, liked the courtyard area with the hammocks. They did let us hang around on our last day as our coach wasn't until early evening." "New hostel. Very pleasant and clean. Good shaded area for sitting in and chilling . Good kitchen facilities. About 10 minutes walk into the center of San Pedro de Atacama. I would go back there." 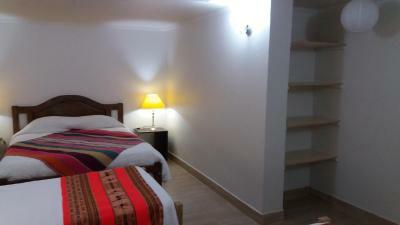 Set in a picturesque adobe house only 10 minutes' walk from the city centre and San Pedro Church, Hostal Nuevo Amanecer offers rooms with free WiFi. The Bus Station is 100 metres away. 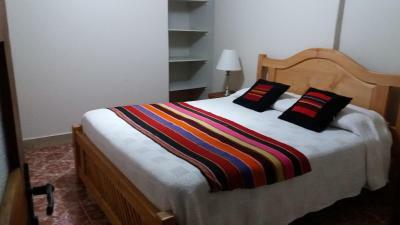 Offering nice views of the surroundings, rooms at Nuevo Amanecer Hostal have shared or private bathroom facilities. Guests can unwind in the shared lounge, equipped with a TV. In addition there are bikes available for rental. Hostal Nuevo Amanecer har budt gæster fra Booking.com velkommen siden d. 12. aug. 2011. Hvornår ønsker du indkvartering på Hostal Nuevo Amanecer? Værelse med dobbeltseng og eget badeværelse. Dette værelse byder på 3 enkeltsenge og eget badeværelse. Dette værelse har dobbeltseng og fælles badeværelse. Dette værelse har fælles badeværelse. 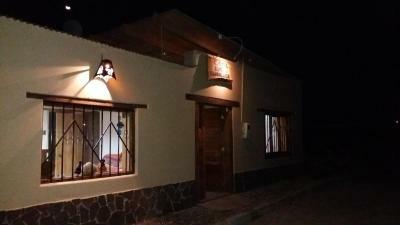 Før du booker Hostal Nuevo Amanecer tager imod forespørgsler! Angiv dit ønske i næste trin. Hostal Nuevo Amanecer tager imod disse kort og forbeholder sig retten til midlertidigt at reservere et beløb på dit kreditkort forud for ankomsten. 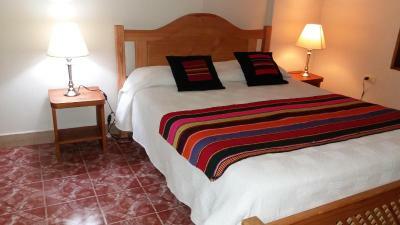 "Really comfy bed, the shower was nice and hot and we had a great night's sleep. It was a good place to relax after an 8 hour drive. " 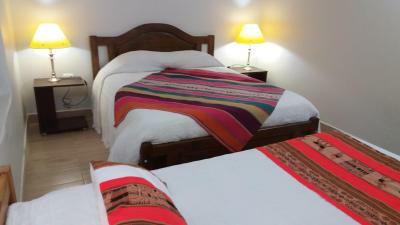 "Clean room, hot shower, great staff, a very kind lady. They helped us store luggage and it is possible to use the common room (with kitchen / fridge and good WiFi. 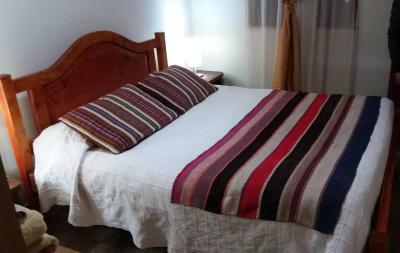 location wise - It is about 10 min walk to the downtown San Pedro de Atacama but it is just 2 min walk to bus terminal (for transfer to Calama, the closest airport) With the price you pay for, it’s not easy to find alternative which has private bathroom"
"Accommodation was very clean. There was several spaces to relax outside the room, however still inside the private apartment area. "